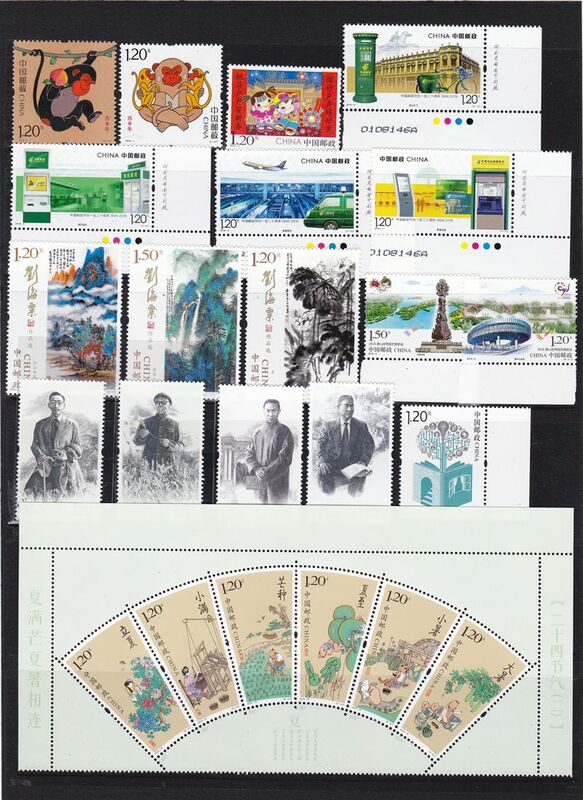 M2120, Complete 2015 China Stamps, Mint 78 Pcs Stamps, 7 Pcs SS/MS. 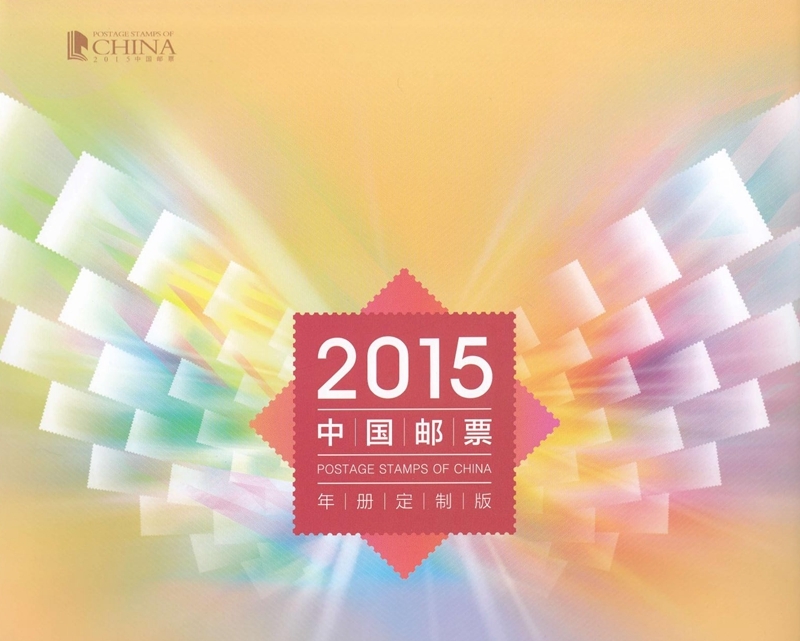 Mint condition, full China 2015 stamps and SS (MS). Without Album. 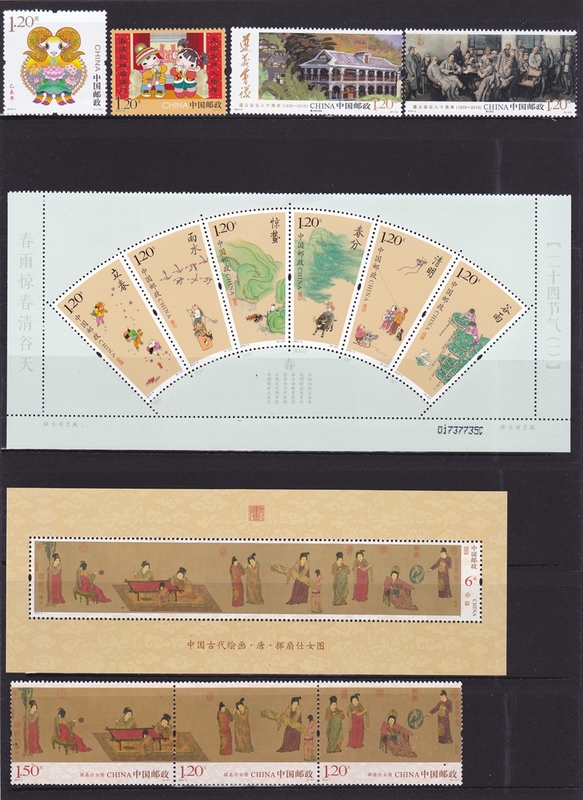 This set includes 78 pcs stamps, 4 Pcs SS and 3 Pcs MS.
M2122, Complete 2015 China Stamps, Mint 78 Pcs Stamps 7 Pcs SS, With Album. Mint condition, full China 2015 stamps and SS (MS). With Album. 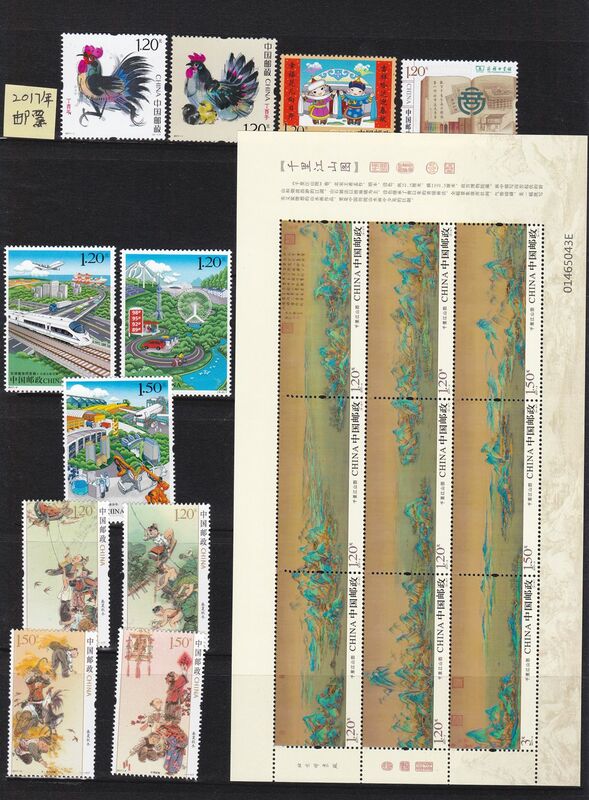 This set includes 78 pcs stamps, 4 Pcs SS and 3 Pcs MS. Total weight: 0.9 Kilogram. 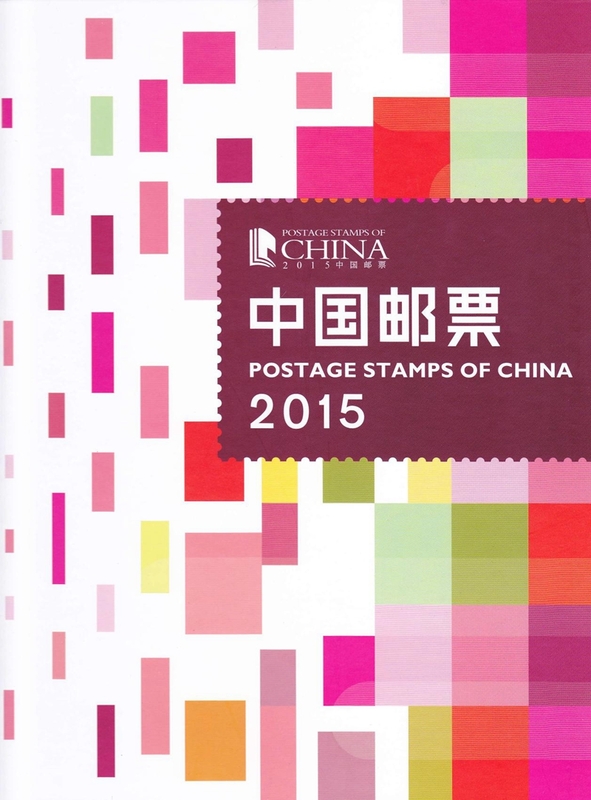 M2125, Complete 2016 China Stamps and SS (MS), Full Year 中国2016全年邮票. 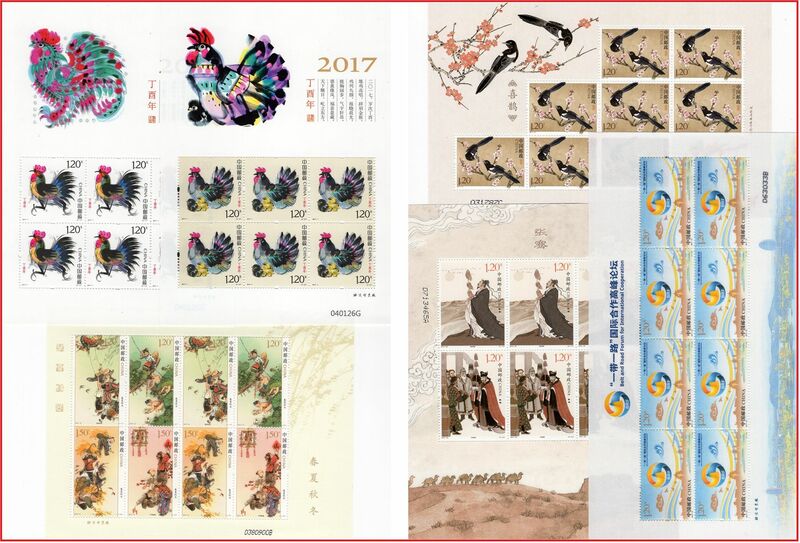 MNH condition, full year China 2016 stamps and SS (MS). 33 sets stamps totally. Without Album. 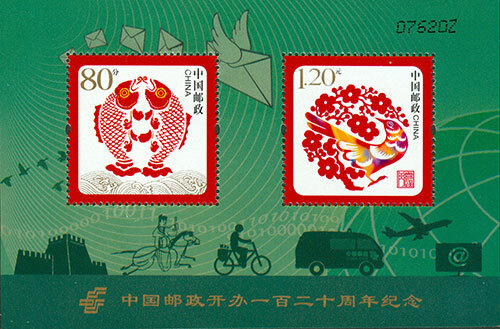 Without stamp booklet and gift MS.
M2501, China Postal Service 120th Anniversary, Special Souvenir Sheet, 2016 S/S. Mint Never Hinged - Fresh and very fine condition. Please see scan for condition. This is the special S/S, not included in the year stamp album. 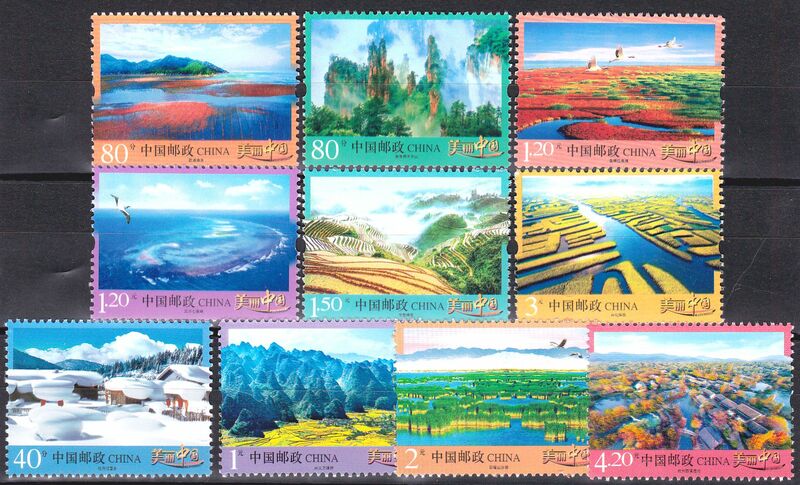 M2701, Beautiful China Definitive Stamps, 10 Pcs, 2013-2016. MNH, 10 pcs totally. The first 6 pcs was issued in 2013, the second 4 pcs was issued in 2016.